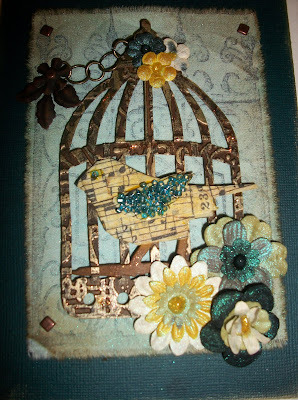 Creative Scraps by Peggy Lee: All Things Tim!!! I also used muslin for the backdrop and stamped and misted/inked it. 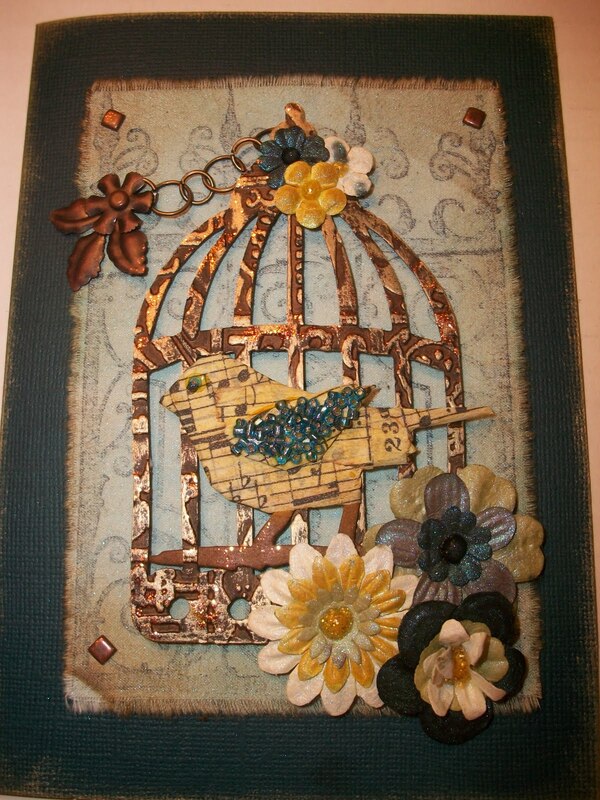 It turned out really cute, I used Tim's caged bird die cut-and ran it through his embossing folder, added tissue tape wrapped around the bird-bling the wings with beads (that my friend Kat shared with me). Added some hardware and whoo looa! I took the flowers that came in the package from Hero Arts and misted them with the Perfect Pearls Mist and added some distress inks-highlighted the card in gold paint. 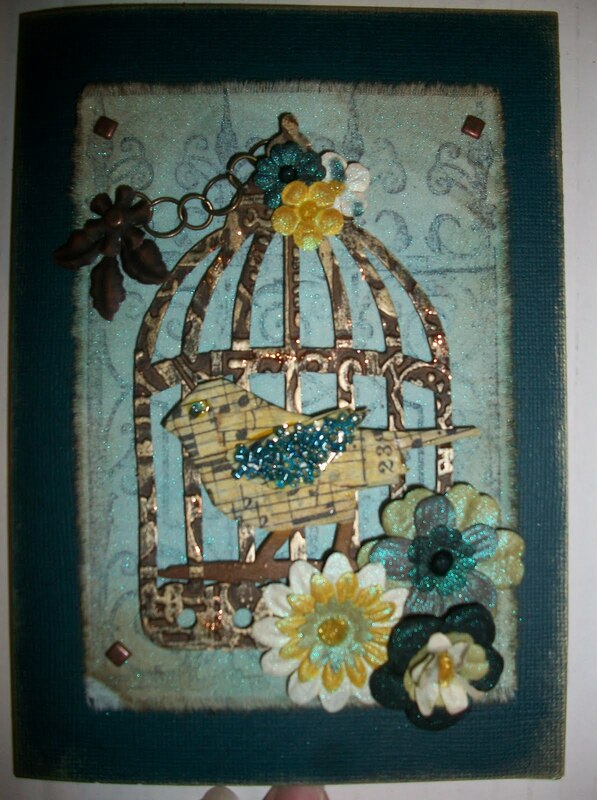 How fun this was to use what was in my package and create with my stash items, if you haven't tried SSS blog challenges yet "What are you waiting for?" Jump over and start playing be creative with what you have-explore the world of art. Love these! Great use of all that new product! lol! Really wonderful art! Thanks for joining the SSSS challenge this week! YOU ROCK....YOU ROCK....YOU ROCK!! girl! need to see it in person!! thanks bunches for playin' with the Design Teamies and Simon Says Stamp and Show Challenge!! lOVE the card Peg. Beautiful Job. as Lynneeee says....you Rock....I say you Rock and Roll!